After a long and hard recovery process from the real estate market collapse a few years ago, the Southwest Florida market is once again in full swing. It keeps growing and is gaining strength. Home buyers are showing the tendency of wanting to buy while home prices are still attractive and before mortgage rates are further increasing. The Cape Coral and Fort Myers real estate market shows an evident trend that it is not taken over by speculators anymore as it was before the recession and that means much needed stability is returning to the area. On this note, a highlight worth mentioning from a recent Florida Realtors® report is that the foreclosure crisis can be called almost over. In Florida, the percentage drop in owners receiving a first-time foreclosure notice was dramatic. The state had 6,744 foreclosure starts in November, an 18.02 percent decline month-to-month and a 45.9 percent drop year-to-year. The Realtor Association of Greater Fort Myers and the Beach already predicted at the beginning of 2013 that the outlook is positive. As expected, homes close to the Gulf of Mexico and accessible by boat in areas like Cape Coral, Fort Myers, Fort Myers Beach, and Sanibel are bound to attract investors, foreign nationals and retirees. It is a good time to make an Florida real estate investment now. 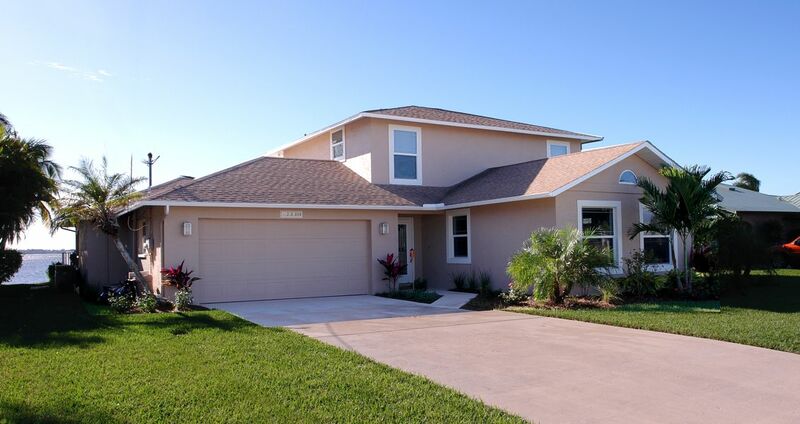 Florida’s housing market continues to improve in the third quarter of 2013 with more closed sales, higher median prices, new listings and a stabilizing supply of homes for sale compared to the same quarter in 2012, according to the latest housing data released by Florida Realtors®. Data shows that the median days on market (the midpoint of the number of days it took for a property to sell) was 48 days for single-family homes and 54 days for townhouse and condo properties. That means 50 percent of homes on the market in Florida sell in less than two months. The statewide median sales price for single-family existing homes in 3Q 2013 was $175,000 which is up 18.6 percent from the same quarter a year ago, while the statewide median for townhouses and condos properties was $130,000, up 23.8 percent over the same quarter last year. The demand for new construction houses is on an upward trend as well and the supply is tight once again. The Lee County Department of Community Development released recent data of residential building permits issued. In November, 61 permits were pulled by contractors to build single-family houses compared to only 44 issued in November 2012. Consumers are actually buying homes faster than builders can bring new inventory to completion right now. The pace at which new homes are being moved into is the highest since 2008.